For the promotion and recognition of a website, the vitality of backlinks can’t be denied. Backlinks are essentially required for achieving better ranking in popular search engines such as Yahoo and Google. With a free backlink checker tool, you are ensured that you’re getting the expected backlinks. With this utility, you are aware of the number of inbound links that are present on your website. Some of these might be available free of cost and others would incur reasonable charges. With these premium backlink checker tools, it becomes simpler to find out your entire website backlinks to export. Free Broken Link Checker allows you to find out and fix dead links for fetching better rankings. The checker lets you manually check links for single and multiple link websites. Without the need to purchase expensive useless features from SEO packages and suits you and can simply use this feature without even downloading. The online link checker is a useful web application where you can do small and large link checking tasks with ease. Scan unlimited internet pages within less time and get on-page visualizations for your sites for dead hyperlinks with online Link Checker. With the free flash version, you can scan and fix till 3000 web pages. Someone who needs to fix a few broken links within less time period can surely use the W3C online link checker. Just copy and paste the link to the URL box and easily check and fix all your dead website links. 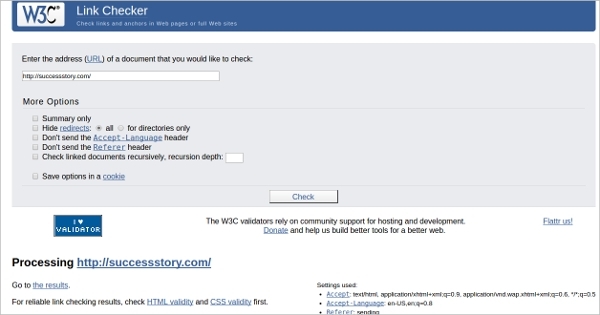 With W3C checker you can get the summary of problems in links, referenced objects, and anchors inside a CSS sheet, website page, collaborative tools or an entire website. Whether you’ve got websites or blog pages you can easily check them for broken links with broken link checker. 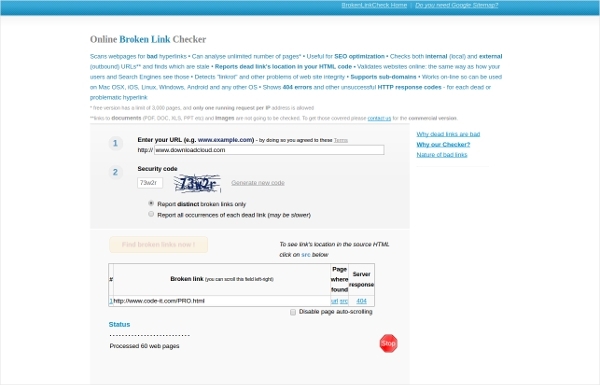 Scan and auto check unlimited website pages with the online broken link checker application. You also get the location of all HTML links with issues. All bad URLs are fixed with broken links report for error codes like 404, etc. The Wummel-Link Checker is one of the free, GPL licensed validators for all your website links. This link Checker lets you check all your links in the whole of websites and internet documents. The checker supports multithreaded and recursive site crawling and checking options. 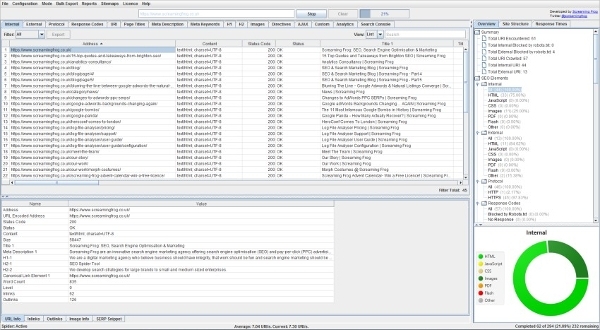 The output is provided in the normal and colored text in different formats for PDF, SQL, HTML, XML, and CSS. 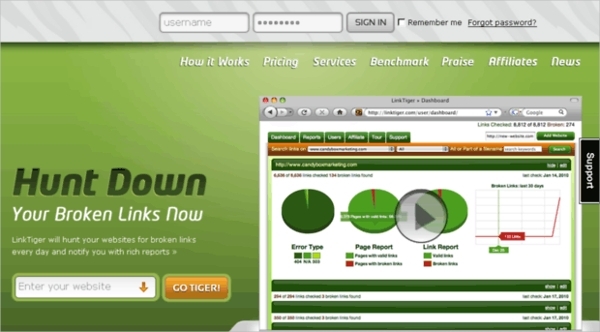 Link Tiger is one of the best online tools for checking and fixing broken links. The application makes the process simpler and user-friendly and offers well-designed reports with graphs and pie chart statuses of all website links with problems. A daily multi check on the website is possible through LinkTiger and you can easily get reports for issues and fixes on your email. The online tool is ideal for checking all your outgoing website links to know whether they are dead or broken. The website is simple and offers a search box where you can paste the copied website URL and check all your pages separately. 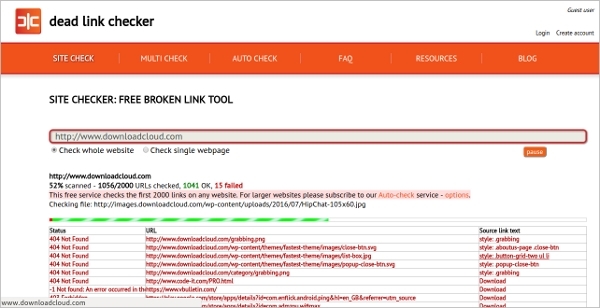 Broken Link Checker Tool is perfect to find broken links if you quickly want to check and fix a few broken links on your websites or blogs. Talking about the most renowned and useful link checker we would mention no other application than ‘Check My Links’. 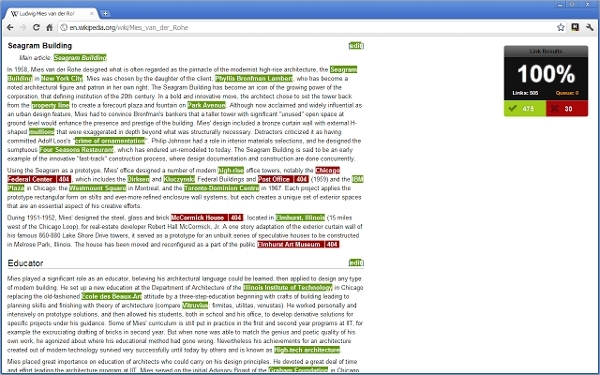 The extension was mainly designed for content editors, web designers, and developers. The application is handy in situations where there are a lot of links and checking all these one by one becomes a much difficult task. With the software, you can simply find and check all the links inside the website and check all these. With the application, you get highlights on all the valid and dead links within your web pages. 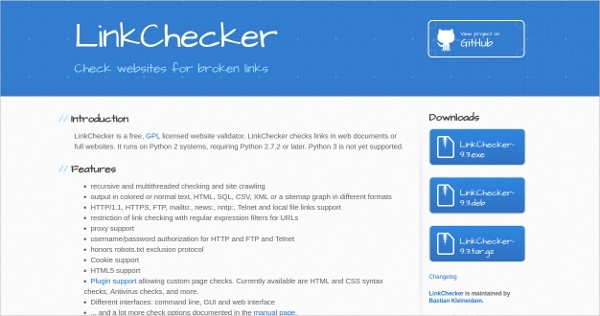 What is Link Checker Tool? Basically, backlinks are essential to get higher ranks for your websites in search engines like Yahoo and Google. Through better ranking, you get higher traffic as you make your way to the first page. Everyone loves to know about the progress they made and with backlink checker tool you get an accurate count for that. You can know whether these backlinks are identifying and increasing the backlink types that you get? In addition to this, you can also understand whether it’s good to expect an increase in rankings or not? With the email analysis from the backlink checker outcomes, you can make decisions regarding the planning of backlinks through better PR website for getting better much better outcomes for your website. According to various studies around eight in every ten sites never obtain desirable outcomes as they’re generating sufficient traffic mainly due to bad backlink strategies. With online backlink checker tools, you can know about your current standing on the internet. Additionally, you are also able to figure out which websites link back to yours and do no good to the website. As a website owner, you can make important decisions based on these print outcomes generated through backlink checker.